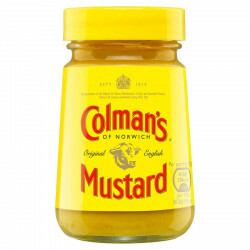 Typical recipe made with brown and white mustard, Colman's mustard has been the food lover's delight since 1814. 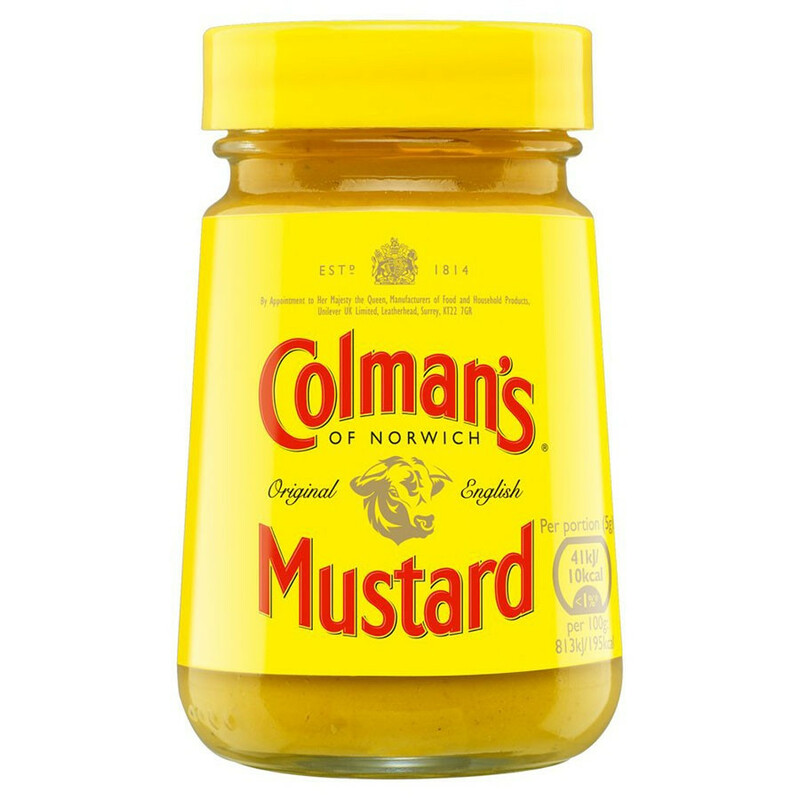 Typical recipe made with brown and white mustard, Colman's mustard has been delighting the food lover's taste buds since 1814. A great accompaniment for tastier meals, it will spice up perfectly your meats and fishes as well as sandwiches and hamburgers. Founded in Norwich in 1814, Colman's has been part of British traditional meals for almost 200 years. Colman's is particularly known for its famous yellow pot of mustard. Back in 1855, the head of a bull became the official logo of the brand, pledge or symbol of tradition and quality. 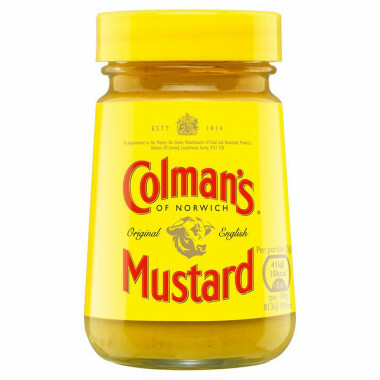 Today, the Colman's Company offers in addition to its range of mustards, many condiments and sauces such as Mint sauce, perfect to liven up many of your dishes. Ingredients: water, mustard flour (21%); sugar, salt, wheat flour, turmeric, acid (citric acid), stabiliser (xanthan gum). Once opened, keep refrigerated and use whithin 3 months.